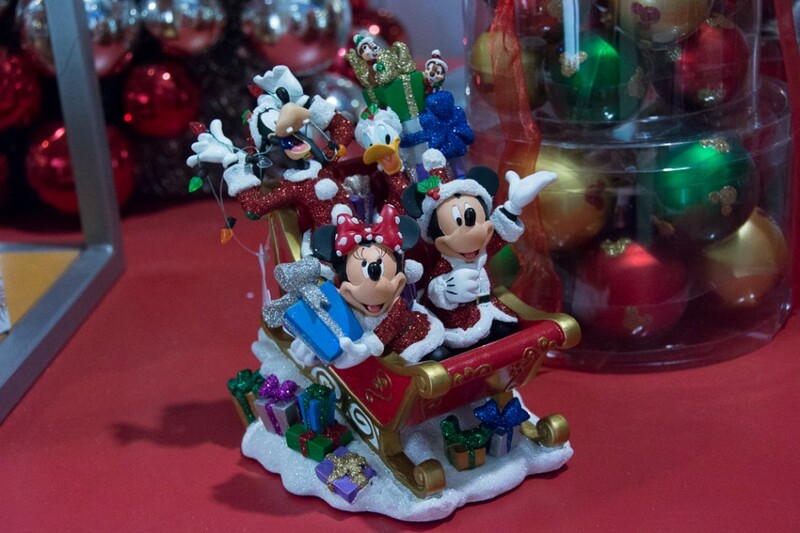 All this week are are visiting the resorts in the Magic Kingdom resort area to check out the Christmas decorations. 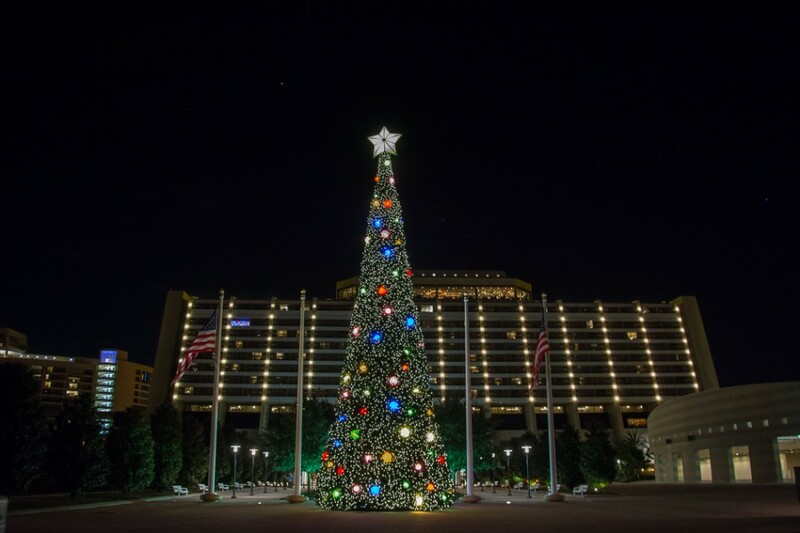 On our next stop we’ll enjoy Christmastime at Disney’s Contemporary Resort and Bay Lake Tower. 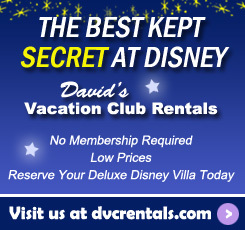 We began our tour yesterday at the Wilderness Lodge. From there it was a quick boat ride over to the Contemporary. 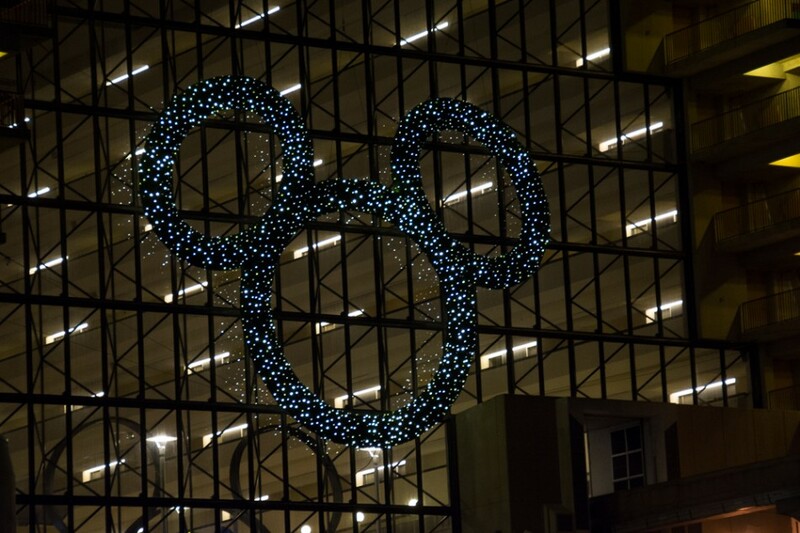 One of my favorite decorations on all of the Disney property is the giant lighted Mickey wreath on the outside of the Contemporary Resort. 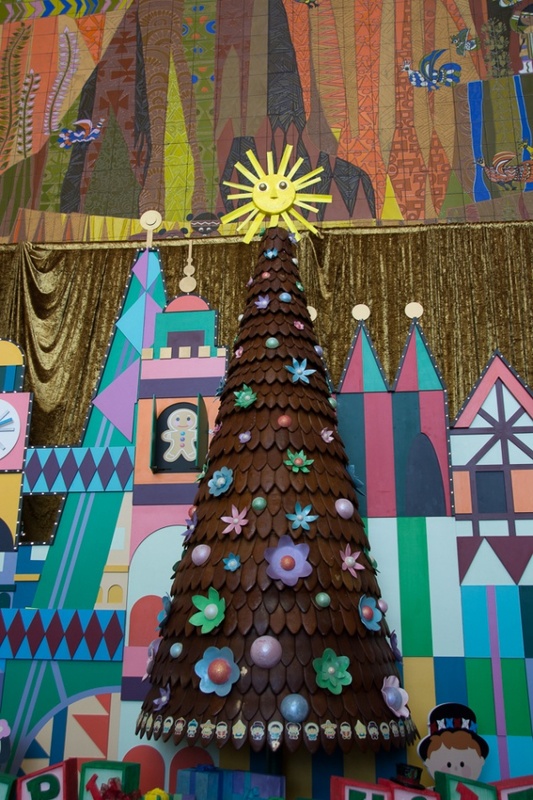 Like most of the decorations here, it’s very simple, but wow, what a punch it packs at nearly 4 stories tall! 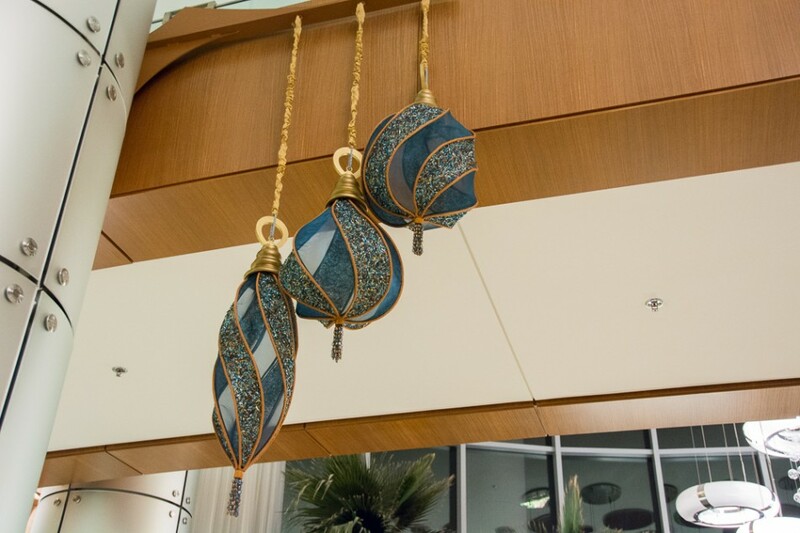 At this resort, in keeping with the contemporary theme, the decorations are not over the top. 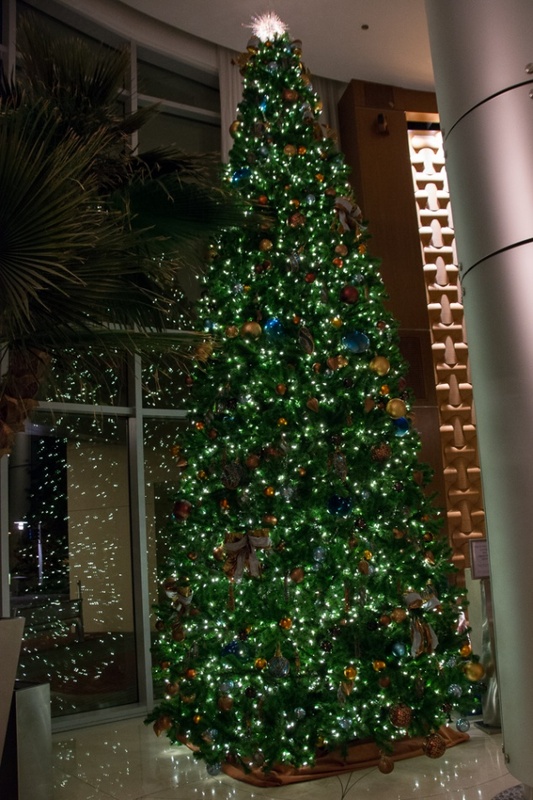 There is a beautiful towering tree located outside in front of the resort, rather than in the main lobby or atrium. 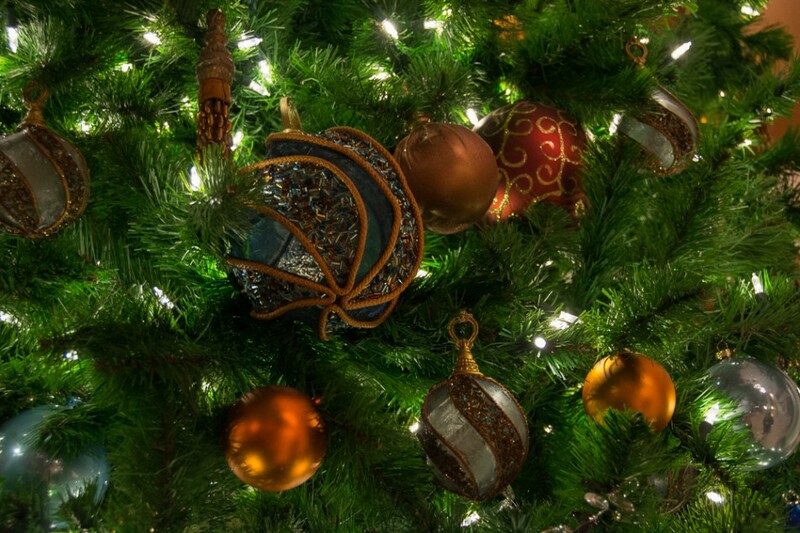 The decorations are minimalist, consisting of large balls and twinkling lights with a simple star on top. 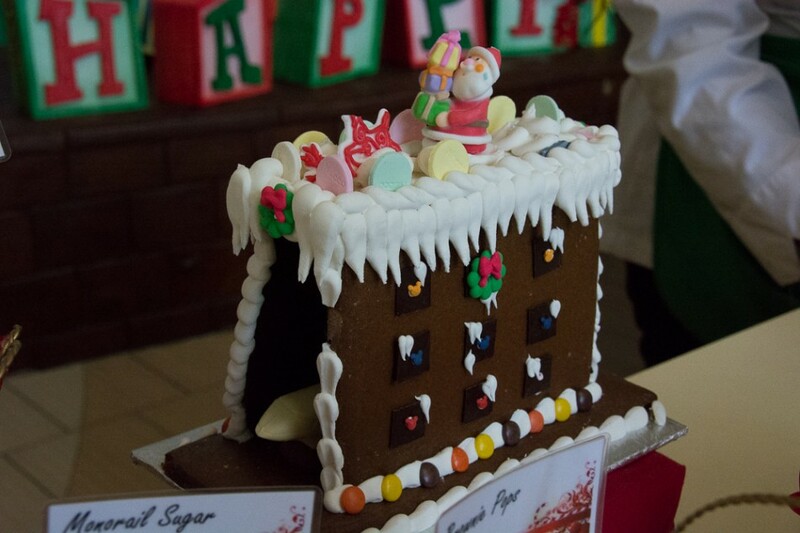 Inside, the smell of gingerbread fills the air. 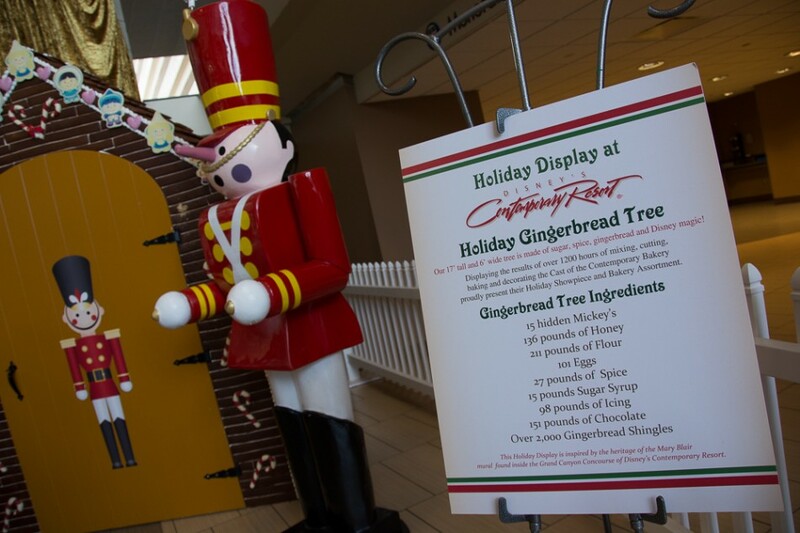 Inspired by the gigantic Mary Blair mural on the Grand Canyon Concourse, this adorable 17′ Holiday Gingerbread Tree is the centerpiece of the Contemporary Resort’s Christmas decorations. 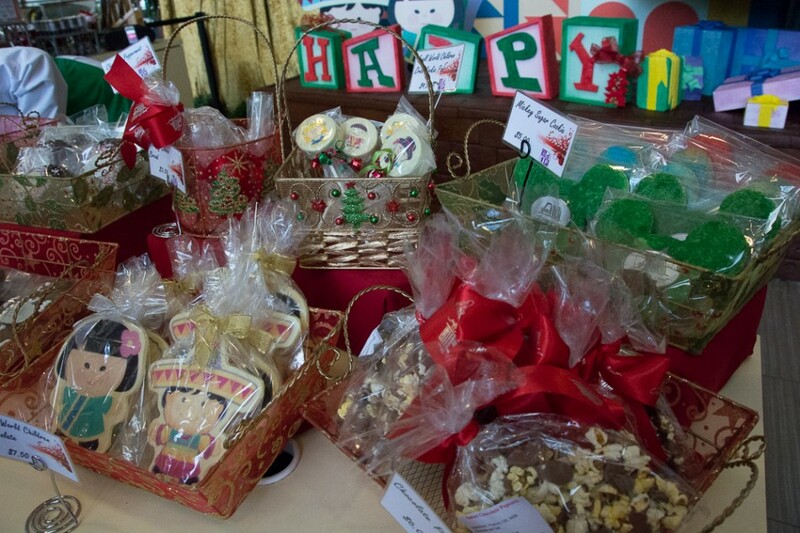 There are all sorts of holiday treats available in front of the tree. 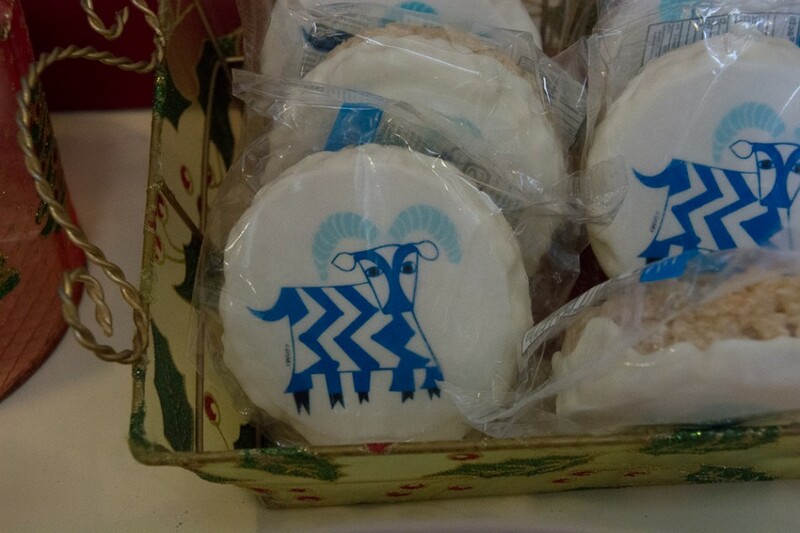 My favorite is the cookie sporting the 5-legged goat from the mural. The small word kids are pretty cute too! 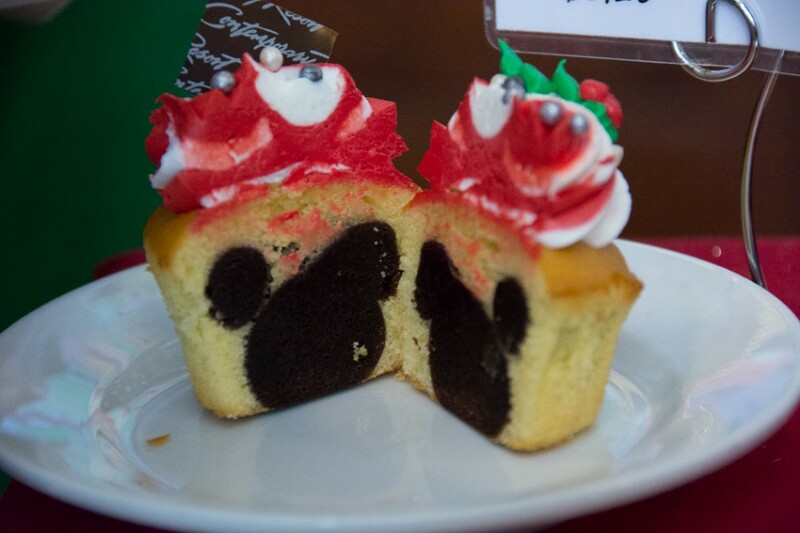 There was even a hidden Mickey cupcake! 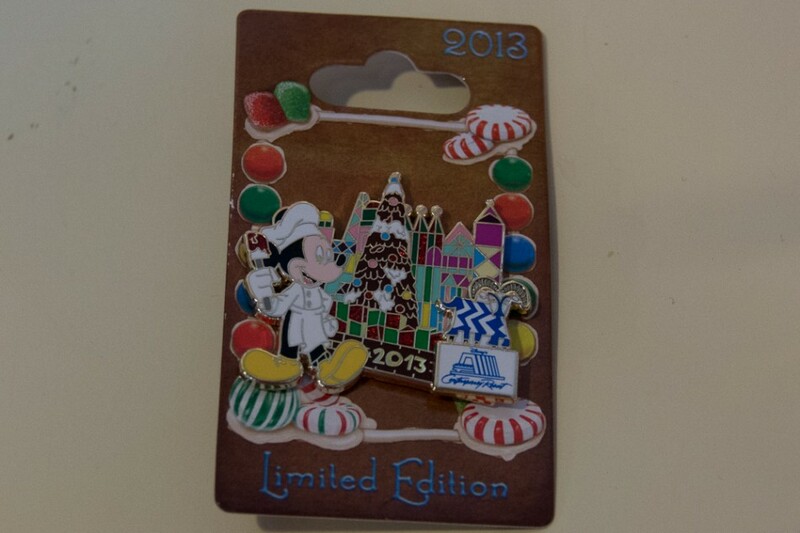 How about a gingerbread Contemporary Resort, complete with a sugar monorail running through the center? 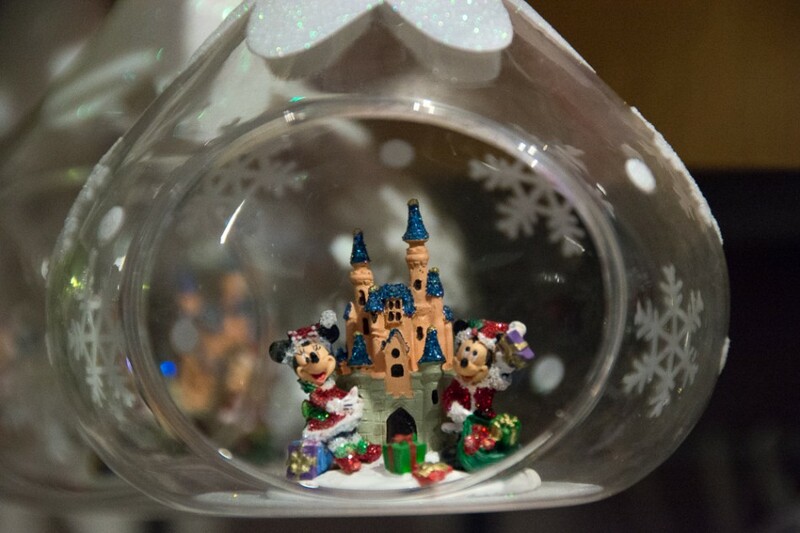 I found most of the Christmas decorations in this resort were in the merchandise shops. Here are a few of the fun Christmas things I discovered for sale. 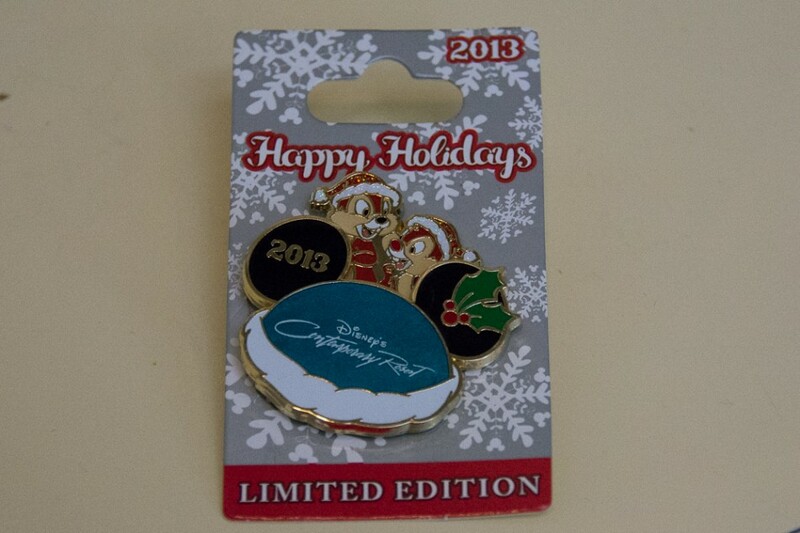 In addition to their limited edition pin, the Contemporary also has a special pin commemorating its gingerbread display. 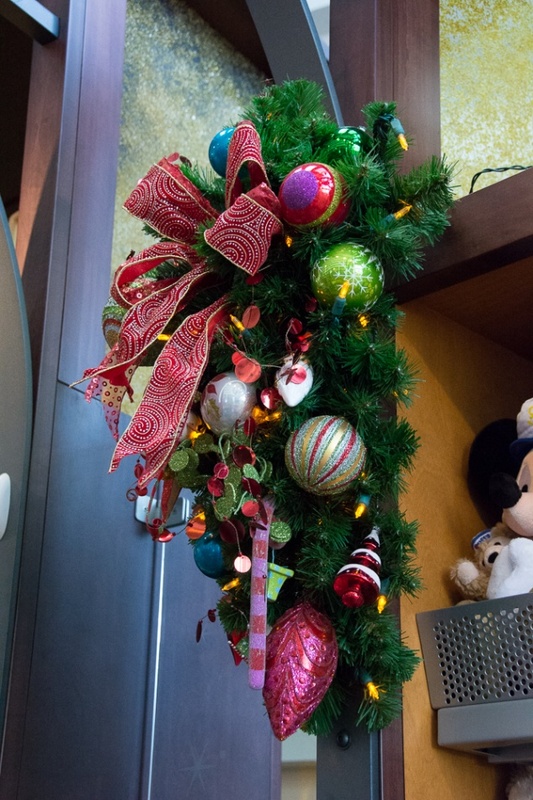 At Bay Lake Tower, the Disney Vacation Club building at the Contemporary, the tree is decorated in blues and golds. Giant ornaments matching the ones on the tree can be found hanging from the ceiling. 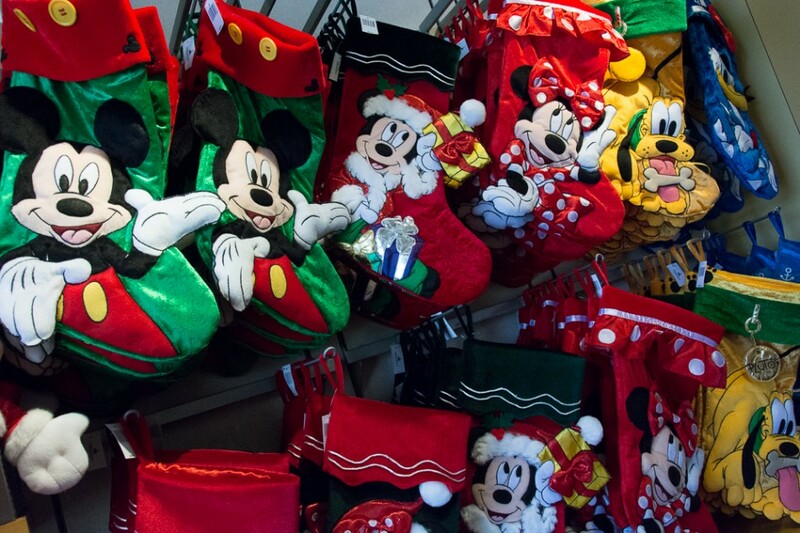 Tomorrow is Christmas and I’ll have a small gift for you here on the blog. 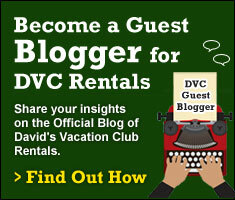 On Thursday, I’ll be back with the next stop on our Christmas week tour, the Polynesian Resort. Merry Christmas Eve!